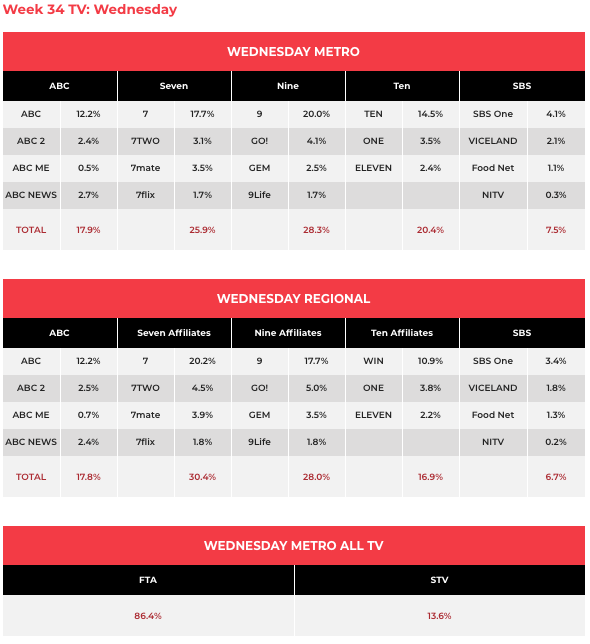 Home And Away dropped closer to 600,000 with 623,000 after nights on 730,000 and 668,000 earlier this week. Ob docs then ruled the schedule with Highway Patrol on 543,000, the new Motorbike Cops did 579,000 and 9-1-1 was on 498,000. A Current Affair was back over 800,000 after previous week 34 outings on 886,000 and 736,000. 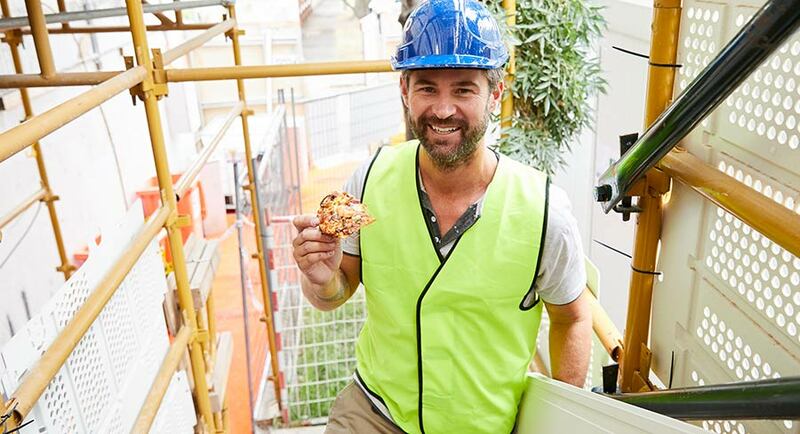 The Block did 901,000 after a midweek episode last week of 823,000. Bite Club then did 443,000 after launching with 510,000. The Project did 518,000 after 7pm. The Bachelor then offered a bit of everything for episode three. However, the week-on-week numbers drifted lower from the launch audience of 940,000 to 819,000. 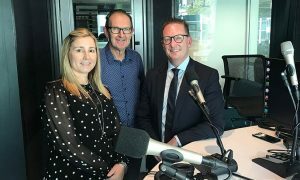 Kinne Tonight is the new popular champion in Pilot Week after five of the eight programs have gone to air making Troy Kinne the newest hot property to emerge from the programming initiative. Anh’s Brush was on 652,000 at 8pm. 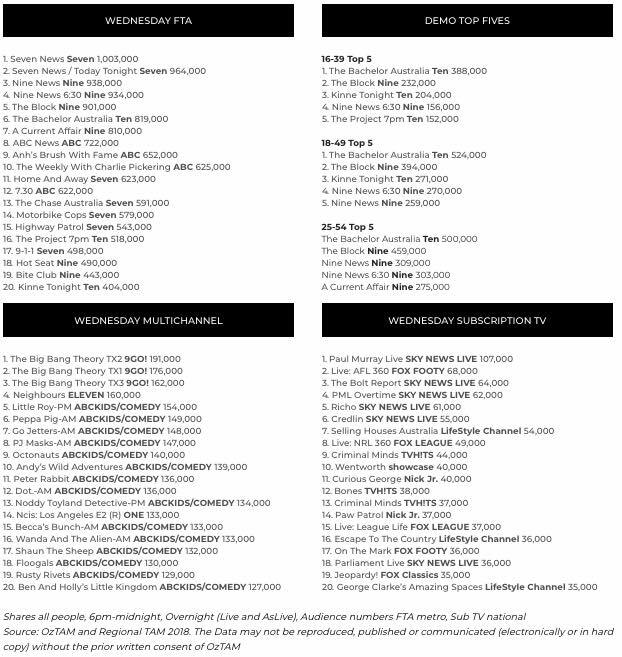 Rove and Jimmy Barnes were the guests on The Weekly with 625,000 watching. The first part of the new series labelled by some “reality TV for thinking people”, The Employables, did 136,000.